In his sophomore feature as director, Gerard McMurray gives us “The First Purge,” a better title being “The Shooting Gallery.” Let’s hope this “First Purge” is the last. The real first “Purge” took place in 2013 in the more interesting movie directed by James DeMonaco, since that one at least had a plot—involving a wealthy family held hostage for sheltering the target of a murderous syndicate. 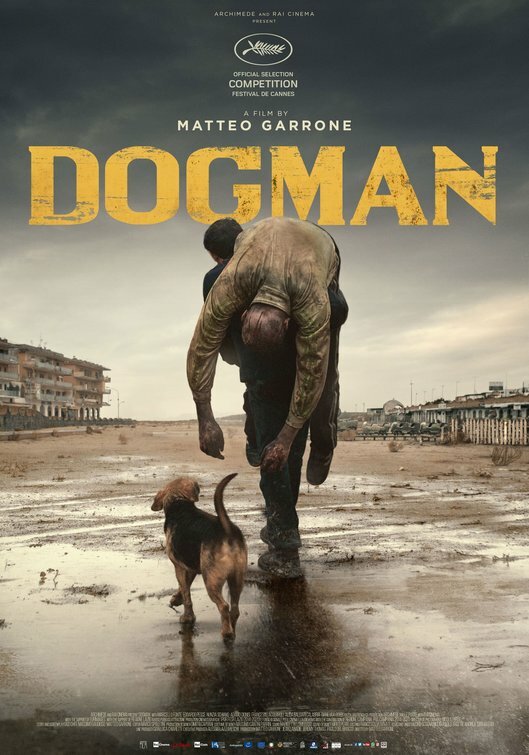 This time, using James DeMonaco’s script, the action blockbuster features dialogue that utilizes half the country’s clichés with not a single syllable of originality, of nuance, even of substance. “What’s going on? I’m so confused. Reaction: You fill in the blanks. Though Marisa Tomei is listed on some programs as the lead, she is wasted here, or perhaps after watching what’s going on, she became wasted. Just like in 2013 when the government declared a 12-hour period once a year to allow people to let off steam in any way they want, the administration is led by a new political party called New Founding Fathers or NFFA. To allow people now to let loose, instead of declaring a nationwide hunting season for the 12 hour period, all is confined to Staten Island, New York, where the administration’s real goal is to decimate the mostly African-American population living in low income housing. To coax the folks in the projects to hang around in Staten Island rather than flee to other boroughs, NFFA President Bracken (Ian Blackman) through his chief of staff Arlo Sabian (Patch Darragh) offers $5,000 to anyone remaining, implanting in each volunteer a tracking device which is supposed to act as check to make sure the people are participating, but is actually used for a government militia to wipe them out. Soon men in KKK masks, gas masks, and other wartime attire are smashing down doors in the projects, gunning down residents right and left, while the men and women under the leadership of Dimitri (Y’lan Noel), a drug dealer, push back with knives, machine guns, fists and strangulations. After realizing what the government really has in mind, Dr. Updale (Marisa Tomei), aka “The Architect,” remarks “What have I done!” to the amused movie audience making that line the principal example of unintended humor. Unless you like to see flame throwers barbecuing people, knives drawing heaps of blood, guns used on both sides, and the usual hand-to-hand combat of the sort that you never know what’s going on because of rapid editing, you will conclude that this “Purge” has no redeeming features. Home is not only where the heart is, but the refuge from the wilds and anonymity of the outside world, a place where everybody knows your name and loves you. Except when they do not. 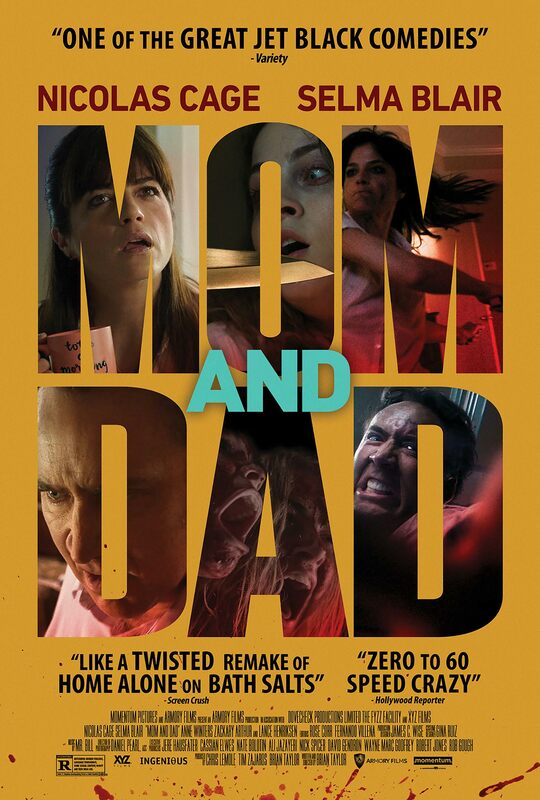 “Mom & Dad,” a horror pic that will be compared unfavorably even to the other movies opening during the dreaded movie month of January, is more horrendous than horror. The film, which spends all too much time exhibiting parents running amuck with the usual rapid editing that makes the theater audience wonder what’s really happening, is twice as long as it should be despite its brief eighty-three minutes’ running time. It should cut about eighty-three minutes from the final release. Brian Taylor, who wrote and directs, is known for “Ghost Rider: Spirit of Vengeance,” in which a fellow in Eastern Europe tries to stop the devil, who is trying to take human form. The macabre, then, is in Taylor’s DNA, but this time around his movie fails on every level. It’s lacking narrative continuity, with editing that makes a joke out of the violence, with Nicolas Cage’s ranting and raving at a volume that could wake the dead (and indeed it seems to have done so with one of the young men he attacks); and with sudden flashbacks that pop out at inconvenient moments to give the audience a feel for what life was like for these characters in better times. The Ryan family, which consists of Brent (Nicolas age), his wife Kendall (Selma Blair), their daughter Carly (Anne Winters), and Carly’s kid brother Joshua (Zachary Arthur), live in a sterile suburb with what Pete Seeger would call ticky-tacky housing. Something happens to people throughout the town, though one could hardly call the violent breakout the fault of suburbia since a human tsunami breaks out throughout the land. Parents, people who almost surely have resentments against their kids due to jealousy, and smarting at the mischief that the young ones have caused them, have become intent on killing their spawn. There is a hint that a TV broadcast with snow on the screen has tripped the mayhem, but whether or not TV is responsible, all the parents of youngsters in high school have gathered at a gate that is locking them out, ready to comic massive homicide. What is meant to be the source of climactic action finds the Carly and her brother in the basement hiding from their parents, as Kendall and Brent manage to see through their rage enough to decide how to get at the kids with various tools that suburban houses have almost as additional rooms in their homes. Again the rapid-fire editing makes a jumble of the battle in a movie that lacks scares, a screenplay, and anything beyond the usual generic horror music. A travesty that somehow managed to find a place at the Toronto International Festival.